When I began this journey on June 1, 2011, I was overweight and was constantly feeling lethargic, under-energized and less than myself. I woke up one morning and thought, "I'm done. I'm going to get healthy starting today." And so I did. 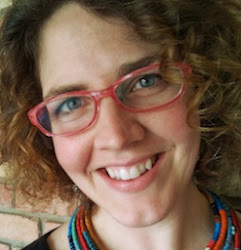 Here is a photo of me on day one. After a few months of a partially raw food diet, juicing in the mornings and some mild exercise, I began to feel more like myself: energized, centered and filled to the top with gratitude. 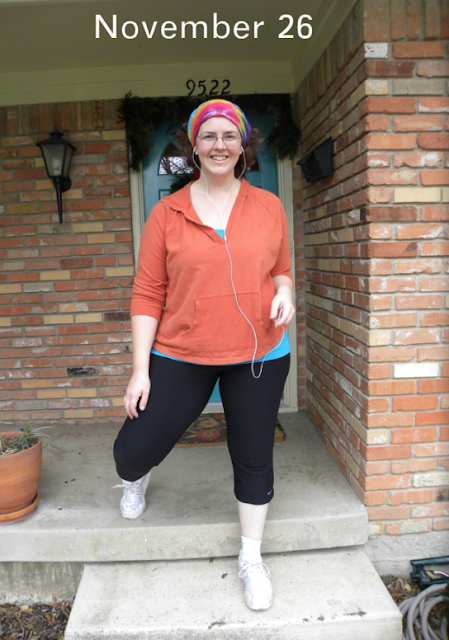 Here I am heading out for a run in November 2011. And here I am, still at it below... off for a run in February 2012. 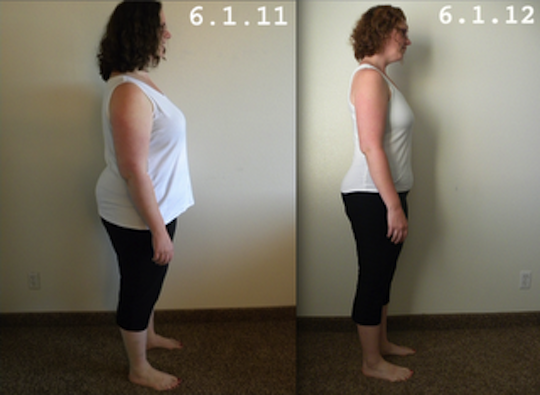 I added boot camp classes to my regimen and was still enjoying a mostly raw diet. My family outfitted me with some running gear for Christmas - thank you Mom, Dad and Jack! My blue running shirt is still a little tight here, but it won't be when I'm through! 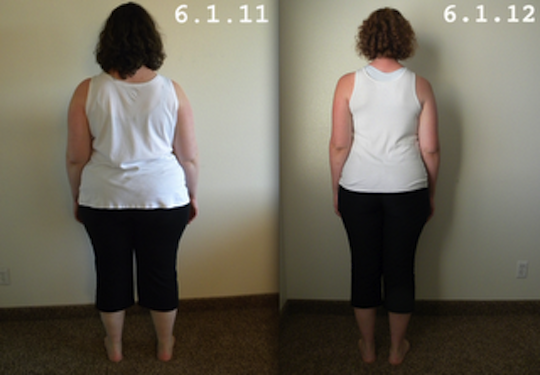 Here I am below on March 3rd having lost over 50 pounds since beginning my weight loss journey nine months earlier. At this point, I was still running every week, preparing fir my first 5K (which I loved!) I was still eating a mainly raw diet and drinking green lemonade every morning. Here I am at the end of April. I've stopped shedding lots of weight, but am instead seeing more tone and definition in my body. While my weight loss is slowing down, I'm still dropping dress sizes and feeling great. I stopped eating mostly raw food and started allowing more of the Standard American Diet back into my life. This was not a change I made cognitively, but rather a behavior I fell back into. My goal is to renew my pledge to eat more raw, whole and vegetarian foods through the end of spring and all through the summer. 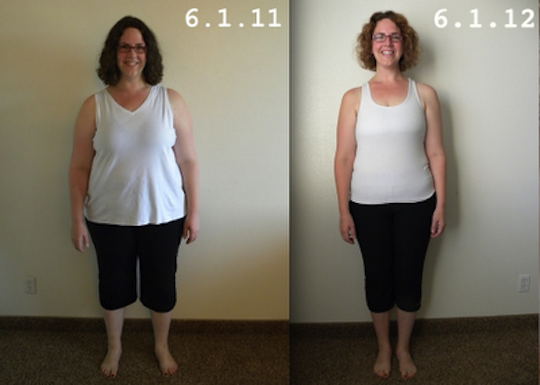 On June 1, 2012, I reached my one year goal of losing 75 pounds! Currently, I'm struggling to maintain my weight loss. I continue to blog about that process here at Smaller Sarah.